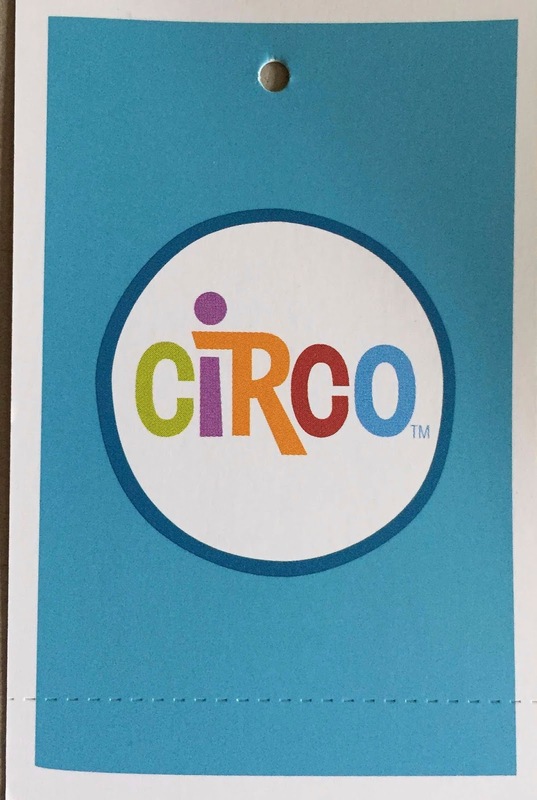 Circo is primarily a line of baby clothes, hence the rainbow primary colors. Sold primarily for Target, one would expect this to fit in with Target's other house brands. 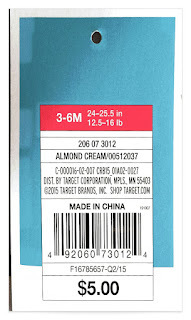 The front of this tag is a soft blue with a thick white border, and a white circle with the company name. 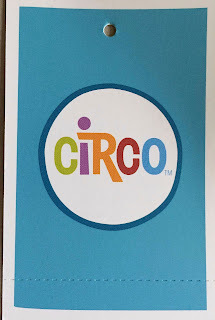 Circo is well stylized, but otherwise the front is rather simple. The reverse has the nitty gritty details, and there is a lot. The 3-6 month sizing also has standard baby details of length and weight. The red is used to differentiate sizes and matches with the color coded hangers for easy selection. There is also a gift receipt, and oddly enough there is an even $5.00 listed as the price. This tag is nice. The front is well executed in a color palette that is common on infant products, but the slightly pastel filter makes it pleasing to adult eyes. Baby products occupy a very odd space where they are marketed to children, but clearly sold to adults, and as such tend to appeal to both sensibilities. I'm not so sure about the gift receipt's discrepancy in coloration, on the front the baby blue continues past the perforation, on the reverse, it stops just above it. Perhaps this helps make the price more machine readable. 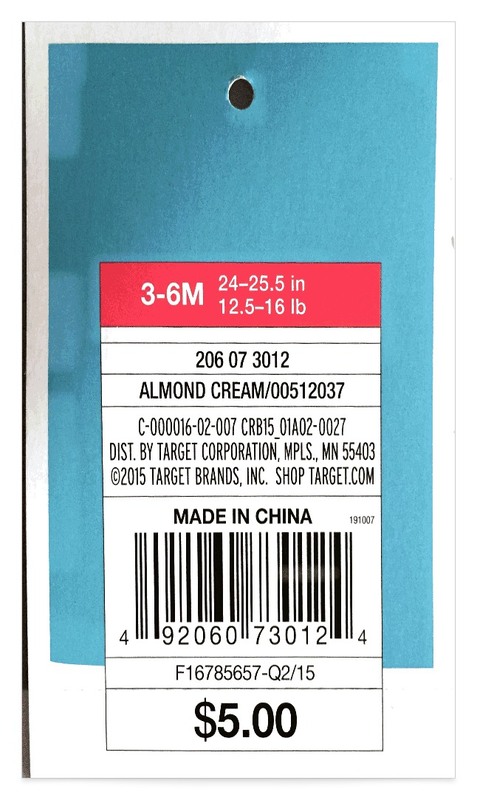 This tag also has what may be the longest product number in history. Can you imagine saying that aloud?